With a fascinating history spanning nearly 100 years, Rolls Royce Leisure offers a unique venue for weddings and ceremonies. 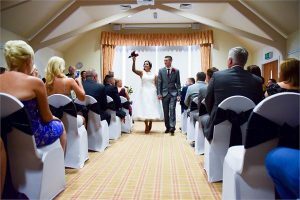 Set amongst acres of glorious playing fields and picturesque gardens the venue is conveniently located on the outskirts of Derby city. Offering a range of suites and customisable wedding packages, the dedicated wedding team can help you plan your perfect day. Accommodating up to 175 guests, this popular setting benefits from its own private bar and dance floor. The neutral décor provides an ideal backdrop to compliment your style and choice of decorations. 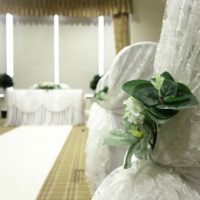 Providing space for up to 70 guests, this ceremony room is perfect for more intimate gatherings. For larger celebrations, the Main Hall is available on special request. With a large licensed bar, raised seating area and stage, the hall provides an ideal setting for up to 350 guests. For the ultimate stress-free celebration, Rolls-Royce Leisure offers a selection of customisable packages. 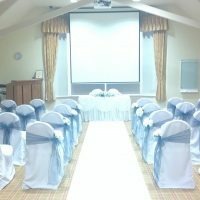 Let the dedicated wedding team take the strain so you can relax and enjoy your memorable day. 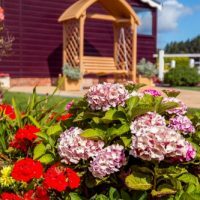 This affordable package covers all the basics including Nightingale Hall hire and a delicious cold buffet. Additionally, a little magic is included with is a special red carpet reception. This popular option includes everything offered by the Shoestring package but with the accompaniment of a few extras. 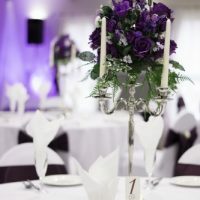 Enjoy a bit off bubbly glamour with a bucks fizz reception and a mouth- watering hot buffet. If you want to choose your room and enjoy an appetizing three-course meal this is the package for you. There is also a choice between an appetizing hot or cold buffet and all the benefits of the other packages. Rolls-Royce Leisure understands that every couple has unique tastes and requirements. To reflect this, they offer a wide variety of menus to suit all budgets, including buffets, barbeques or full seated banquets. Head Chef Mick Kinnane, will work closely with you to tailor a menu that not only suits your requirements but will guarantee to taste as good as it looks.